Amazing and Hilarious "Clean Family Friendly" Comedy Magic Show with or without Live Animals and plenty of audience participation and interaction. This is a unique blend of action packed, high energy magic entertainment with countless magical effects and comedy. Throughout the show, the audience participants will help to magically appear several beautiful live Doves and Rex the adorable soft Rabbit! Countless magical effects, Items vanish and reappear elsewhere, mind reading illusion, money magic, rope tricks and so much more! Image having some of you guests waving silks up and down, to show them empty, when placing the silks together a white dove appears. That is just one of the fun illusions with the animals. This show is design to build special memories for the entire audience and leave a lasting and positive impact on your guest! Meet and Greet with the bunny afterwards, photo opportunities. To add a little sense of danger and excitement, the magician can also make an amazing live snake appear in the middle of the show, the audience will scream with delight when "Samson" (A Real Friendly Snake) is magically produced - this is another big hit with kids and adults. This is a large prop to travel with and requires additional time to setup. Perfect for all children! Add to your show a balloon animal for each child. 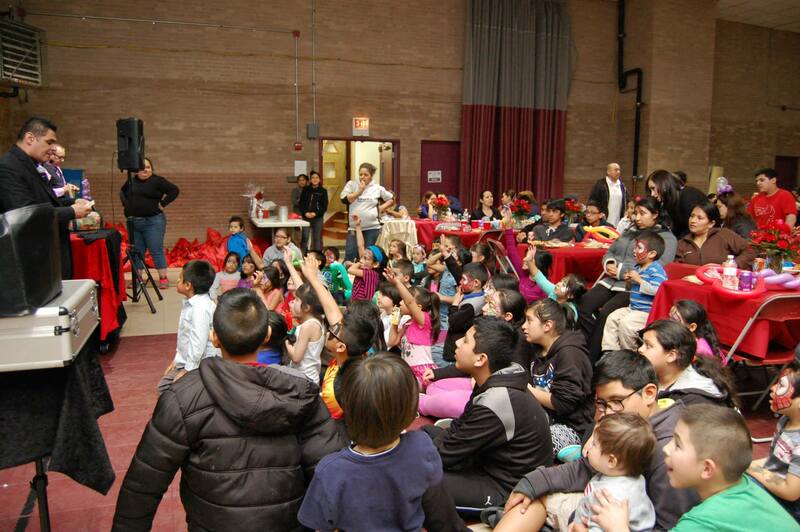 Wait until you see the children’s' faces light up when they get their balloon animal! EXOTIC MAGIC - 4 FT. TRAINED SNAKE MAGICALLY APPPEARS: To add a little sense of danger and excitement, the magician can also make an amazing live snake appear in the middle of the show, the audience will scream with delight when "Samson" (A Real Friendly Snake) is magically produced - this is another big hit with kids and adults. This is a large prop to travel with and requires additional time to setup. Fee $35.00 to be added to above package. LEVITATION ILLUSION - FLOATING A CHILD IN MID-AIR: Imagine the look on everyone's face when a child defies the laws of gravity by magically staying suspended in mid-air, thus creating a truly memorable and absolutely breathtaking effect to say the least. Another wonderful photo opportunity to remember the highlight of your magical event! Weight Limit 70 Pounds: If child is over the weight limit, another child such as sibling, cousin, classmate, etc. may be substituted. Magician Jaime Aponte will perform astounding walk around, close-up magic, the kind of magic that people will remember most with plenty of audience interaction, as they are gathered in groups or at their table if they are seated, and within minutes, they're laughing, gasping, and clapping, truly memorable. 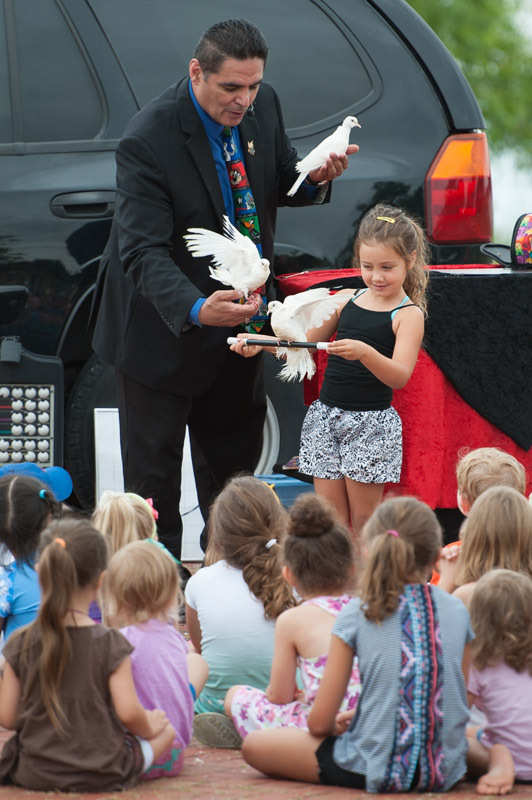 Imagine your guests being mystified as they enjoying the improvisational humor and antics of the magic that happens in front of their eyes and in their hands - right up close. Jaime uses Deck of Cards, Spongeballs, Silks, Pens, Coins, Money, Rope, Rubberbands, and many other items. 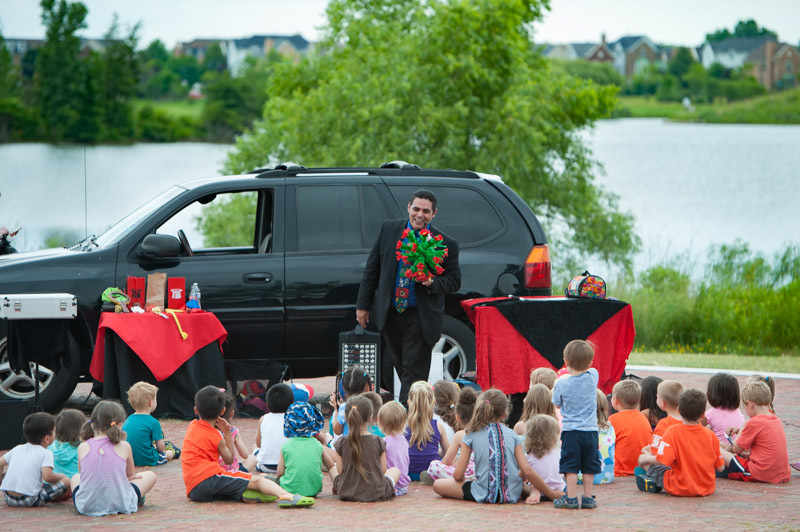 This is a great way to entertain guests or clients at a party or company event, allowing them to participate in the fun with just the right amount of magic and humor. Your friends, family or clients will be envy of your event. 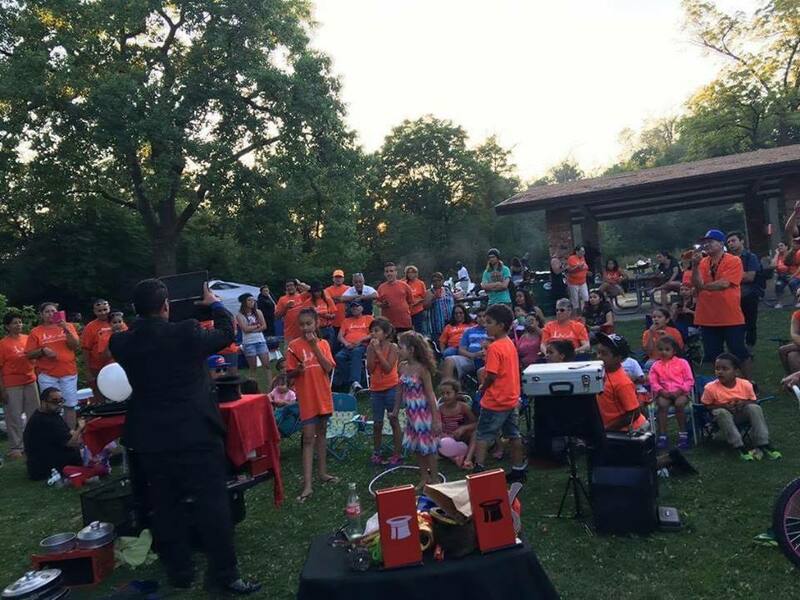 This type of Magic is great for: Clubs - Graduation - Parties - Corporate Events - Holiday Events - Weddings - Trade Show Booths - Breakout Sessions - Team Building - After-Dinner Shows - Picnics - Product/Service Promotion - Grand Openings - Hospitality Suites or any type of group gathering. 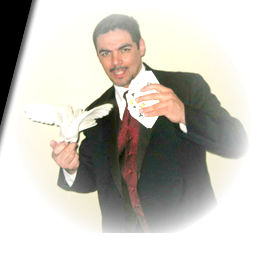 Additional services, such as balloon creations, multiple magicians, etc. are available upon request.